Looking for a stylish, affordable home upgrade? Choose our luxury vinyl tile (LVT) or vinyl plank flooring for an easy way to increase the aesthetics and value of your home. Our flooring showroom includes a vast selection of resilient flooring options, all of which are brands synonymous with quality and style. Our store carries high-quality discount luxury vinyl tile, which can fit your needs in lifestyle, performance, and price. Business owners need long-lasting, attractive floors that can withstand heavy foot traffic. High foot traffic no longer prevents you from having the stylish appearance of wood flooring. We recommend vinyl plank flooring because it looks just like wood flooring, but offers elegance that comes with low-maintenance and durability. From a dark entryway to a mosaic tile bathroom, resilient vinyl tile and vinyl plank flooring can seamlessly transform the appeal of any home or commercial property. Let associates from our luxury vinyl tile store bring resilient flooring samples to the areas you want to upgrade. We offer a free in-home consultation to all of our customers. A flooring professional will assess your décor and help you make the right purchasing decision for the rooms you want to change. Factors such as natural lighting, furniture color, and room layout all dictate how your preferred flooring samples will look in your building. Investing in experienced installers is as important as the quality of the LVT you choose. Proper installation ensures your flooring lasts longer and looks better for years to come. 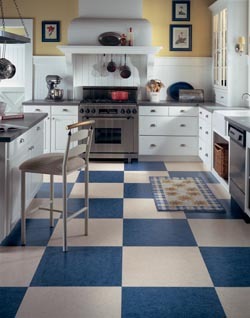 In addition, our store extends a lifetime guarantee on the luxury vinyl tile floors installed by our team. If you are not satisfied with your flooring because of an issue we cause, we will correct the problem at no cost to you. We are so confident in our product, processes and procedures that we give you a 100% guarantee on your resilient flooring investment. Contact us today to learn more about adding luxury vinyl tile or vinyl plank flooring to your home or office. We serve numerous customers throughout Sherman Oaks, Studio City, Valley Village, North Hollywood, and Hollywood, as well as all of the surrounding areas.